Queen Charlotte and DJ Jeannie Hopper print the towels in a secret lab South of the border. Each towel contains the sweat of their own brows which only increases it's value if you sell it on e-bay. 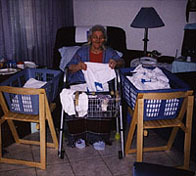 Then the elderly are recruited to process the towels. When the elderly are put to work they experience a feeling of well-being. These good vibes are passed on to your towel. 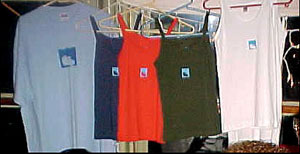 Your own sweat activates its magic powers - giving you the strength to dance all night and into the next morning! 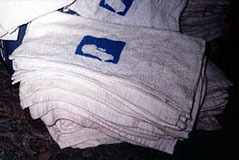 If cared for properly, your Liquid Sound Lounge Souvenir Sweat Towel will serve you for many years to come.